Portland is wealthier than ever. Everyone can see the skyrocketing rents, the cranes dotting the skyline, and home prices continuing to rise further out of reach. There are over a thousand households in Multnomah County that reported incomes of over one million dollars per year. You may not have met any of them, but they know you: they own your home, they own the company you create profit for, and they own the government officials that are making the decisions that keep them rich. While these millionaires keep finding ways to get richer, most of us still feel like we’re in a recession. Recent job growth is not spread evenly across the spectrum and is polarized at the very high and very low ends. Since the 2008 crash, Portland has seen the biggest increase in households earning more than $200,000 per year; the second largest increase has been in households making less than $10,000 per year. This income inequality will only continue to grow unless we act. The wealthiest 1% in the U.S. now own 40% of the wealth (and growing) in the country. This is more wealth than the bottom 90% of the country owns combined. Why are the rich getting richer while everyone else gets poorer? The answer is not some inexplicable mystery or complicated economic theory; our economy is run by the rich and this is exactly what their plan is. These extremely wealthy individuals don’t just live in New York or California — many of them are here in our own backyard. Read on to get to know some of the folks who own the wealth that we created through our hard work. Miller’s family has owned Stimson Lumber, named after his great-great-great-grandfather, T.D. Stimson, for 162 years. Stimson Lumber owns roughly 500,000 acres of forest and eight mills across four Western states. 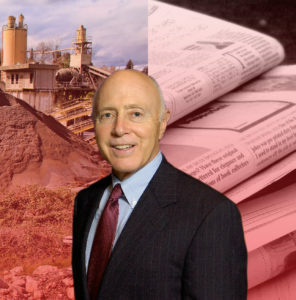 Miller inherited the title of President of Stimson Lumber in 2000 and the title of CEO in 2003. 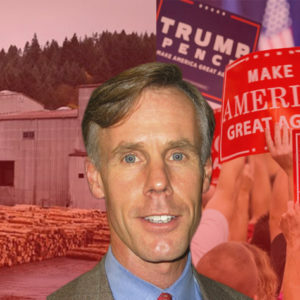 Miller might be best known for spending millions on backing conservative politicians and ballot measures, mostly through Oregon Transformation Project PAC, which he founded. Owns a 10 bedroom, 4.5 bath, 4,700-square-foot house in the Portland Heights neighborhood estimated to be worth $1.8 million. Great-grandfather Coleman Wheeler started the family’s lumber business in 1912. It merged with other companies and eventually became one of the first Fortune 500 companies in Oregon in 2000. The coastal town of Wheeler, on the Nehalem River, is named after Ted Wheeler’s family. 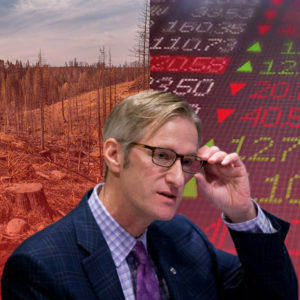 Ted Wheeler is a former executive in the financial industry, which you may have heard crashed our economy and started the recession due to their greed. Wheeler worked for several different financial services companies including Bank of America and Copper Mountain Trust. Wheeler reported incomes of $2.2 million in 2012, $916,000 in 2013, and $1.5 million in 2014. Most of this comes from capital gains and dividends. Ensuring that Portland remains “business friendly” could be a top priority in order to maintain this passive income. Owns a 4 bedroom, 3.5 bath, 3,400-square-foot house in the Portland Heights neighborhood estimated to be worth $1.5 million. Babson has had a relationship with Endeavour dating back to its formation in 1991 including as counsel and as an investor. 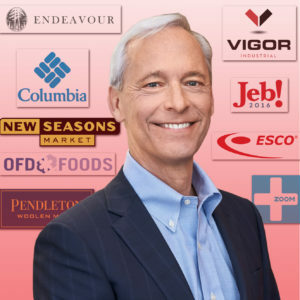 Babson serves on the boards of ESCO Corporation, Zoom+care, USNR, Bristol Fams / Metropolitan Market, Vigor Industrial, Genesis Financial Solutions, Pacific Market International, OFD Foods, Columbia Sportswear, Pendleton Woolen Mills, and Portland’s friendliest union-busting store in town, New Seasons Market. Owns a 4 bedroom, 3.5 bath, 6,800-square-foot house in SW Portland near Dunthorpe estimated to be worth $2.5 million. Hosted a $12,500 per person dinner at his home for Jeb! Bush during the Republican Presidential Primary in 2015. R.B. Pamplin consists of different textile mills, sand and gravel companies, and the Chateau Benoit winery. He also owns Pamplin Media Corporation, which includes the Portland Tribune. Forbes listed Pamplin Jr.’s net worth in 2001 as $575 million, sadly not quite making the Forbes Top 400 that year. Owns a 6 bedroom, 6 bath, 5,700-square-foot house in SW Portland near Dunthorpe estimated to be worth $3.9 million. Pamplin owns “The Pamplin Collection” which states it is “the most historically significant and valuable collection in private hands”; he claims this collection of art and historical items is worth over $1 billion. Columbia was founded by the Boyle family in the 1940s. Tim Boyle inherited the title of CEO of the company in 1989. Boyle has a net worth of $2 billion. His net worth was a paltry $1.1 billion in 2014, but luckily he managed to do a billion dollars worth of work in the past 4 years. Owns Gearhart Golf Links on the north shore of Oregon, built on slightly more than 100 acres of land. 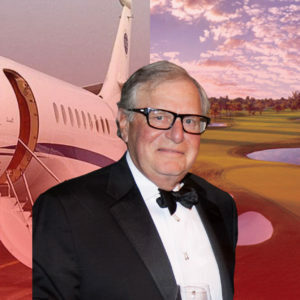 Owns a Dassault Falcon 2000EX private jet that costs somewhere in the $30 million range. Once threatened to relocate one of his Columbia Sportswear headquarters out of downtown Portland due to his dislike of seeing houseless people in the area. Mayor Wheeler was happy to come to the rescue and “fix the problem” by instituting a no-sit sidewalk zone around the location.